Who followed through with Invisible Children’s call to action for the Kony 2012 campaign? Klara Aizupitis takes us into Philadelphia for a look at the event. 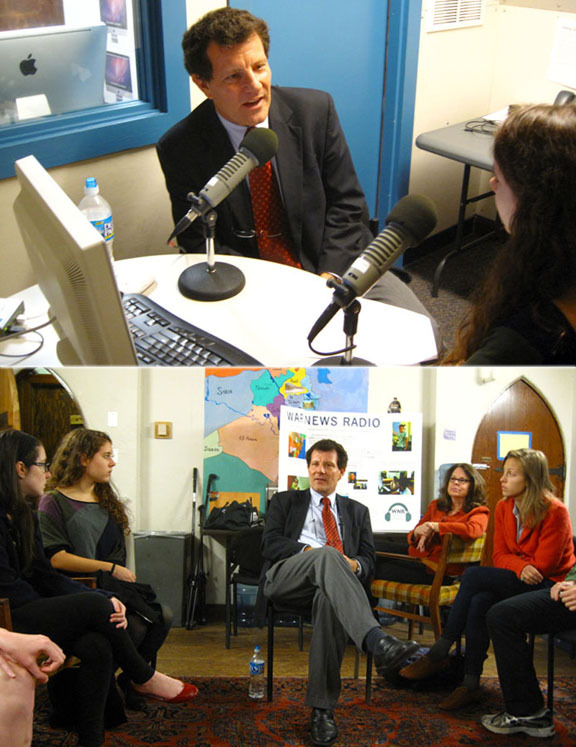 Pulitzer Prize-winning journalist and author Nick Kristof visited War News Radio for an interview and meeting Monday night. Kristof was visiting Swarthmore College for a lecture sponsored by the Cooper Foundation and the Lang Center for Civic and Social Responsibility. Look for more photos on the War News Radio Facebook page. A Harvard graduate and former Rhodes Scholar, Kristof is a Pulitzer-prize winning author and one of the New York Times‘ most popular columnists. 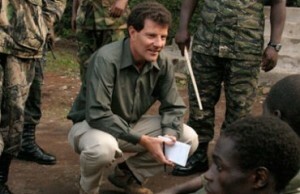 Drawing from his experiences as a foreign affairs reporter that have taken him to six continents and 140 countries, Kristof will talk about covering such historic events as the protests in Egypt that led to Hasni Mubarak’s resignation, the genocide in Darfur, the democracy movement in Tiananmen Square. His talk will also by informed by his most recent best-seller, written with his wife Sheryl WuDunn, Half the Sky: From Oppression to Opportunity for Women World-wide. There they make a brilliantly-argued case that support for global women’s rights should be the human rights movement of our era, and that it will be where we find the solutions to the world’s poverty. Sponsored by the Cooper Foundation and the Lang Center for Civic and Social Responsibility. Come join us for – Obama in Iraq, Libya and Afghanistan: How a Decade of War and New Technology Have Changed American Strategy – a talk by New York Times Chief Washington Correspondent David Sanger. Sanger is the author of The Inheritance: The World Obama Confronts and the Challenges to American Power, and will appear Thursday, October 27, 2011 at 4:30 p.m. in Science Center 183 at Swarthmore College (maps and directions). 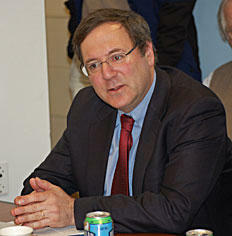 This event is sponsored by the President’s Office and Peace and Conflict Studies.